The Santa Maria Volcano in Guatemala experienced a small eruption on October 26, 2005. 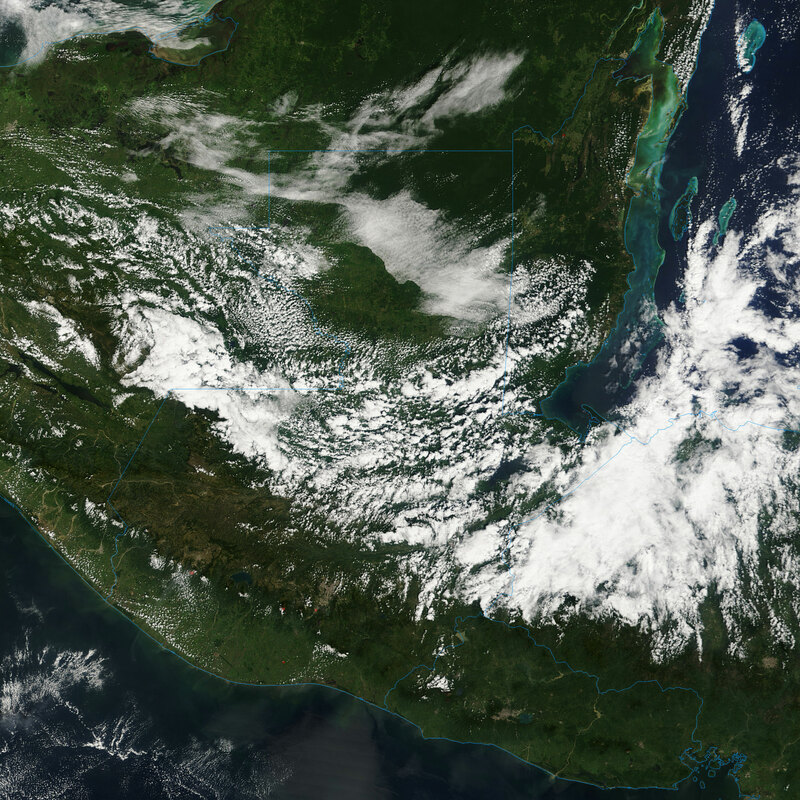 The Moderate Resolution Imaging Spectroradiometer (MODIS) flying onboard the Terra satellite took this picture the same day. In this image, the volcano’s summit is identifiable by a small red outline indicating an area hotter than its surroundings. Wafting away from the summit is a thin, faint ash plume that heads southwest toward the Pacific. The Santa Maria Volcano is a stratovolcano: a symmetrical cone with steep slopes made from alternating layers of lava, ash, cinders, and other volcanic materials. 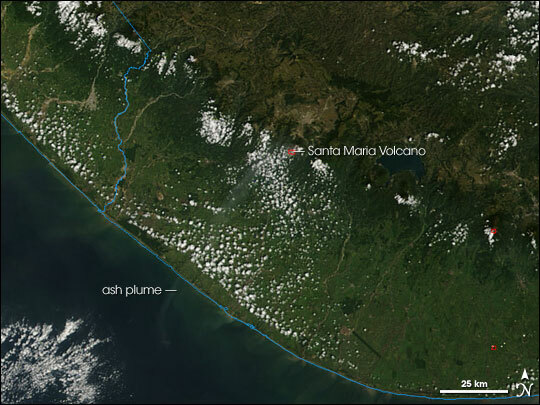 Covered by forest, Santa Maria is part of a larger chain of volcanoes along Guatemala’s Pacific coastal plain. Its October 26 eruption was quite mild compared to earlier activity. It experienced a catastrophic eruption in 1902. Another eruption in 1929 killed as many as 5,000 people.